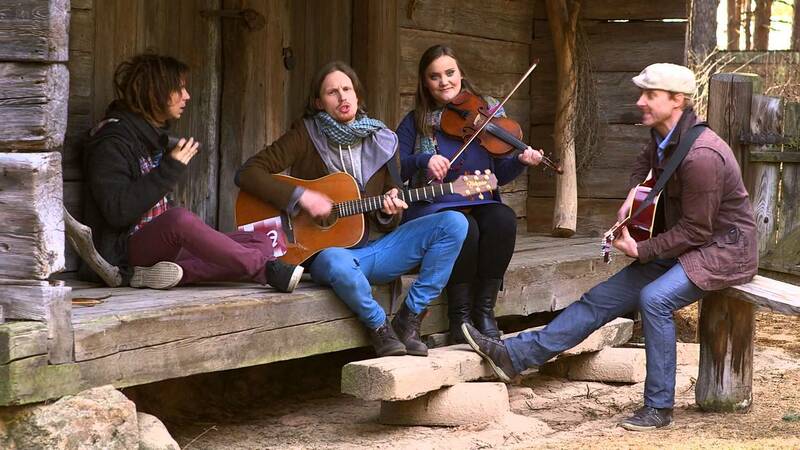 Two and a half years after representing Latvia in the Eurovision Song Contest, Aarzemnieki are still channeling the same friendly/folky acoustic guitar feeling. Their new song, “Tomēr braucu mājās” (“Still, I’m heading home”), written by Jöran Steinhauer, Guntis Veilands, Aija Gusāre, and Mārtiņš Kits, is no exception. Lead singer Jöran Steinhauer starting out alone in a Christmas market, later joining a friend to sing in the street, and finally relaxing with friends and family in a jam session over coffee, a happy ending for the holiday season and the end of the year. Aarzemnieki previously represented Latvia in the 2014 Eurovision Song Contest with “Cake to Bake”, but failed to qualify, placing 14th in the first semifinal.